A CD/DVD set of collaborations between John Foxx and some of his favourite filmmakers. The audio disc contains Foxx's instrumental soundtracks to the films which appear on the DVD. One might question that these tracks are offcuts from unreleased Tiny Colour Movies or Cathedral Oceans projects, due to the striking similarity and familiar styles. "Maybe Tomorrow", "Flightpath Tegel" and "Phantom Lover" are the best tracks on offer from a musical point of view, sounding suitably Kraftwerk-esque, and the accompanying videos are suitably arty, though may not cater for all tastes. 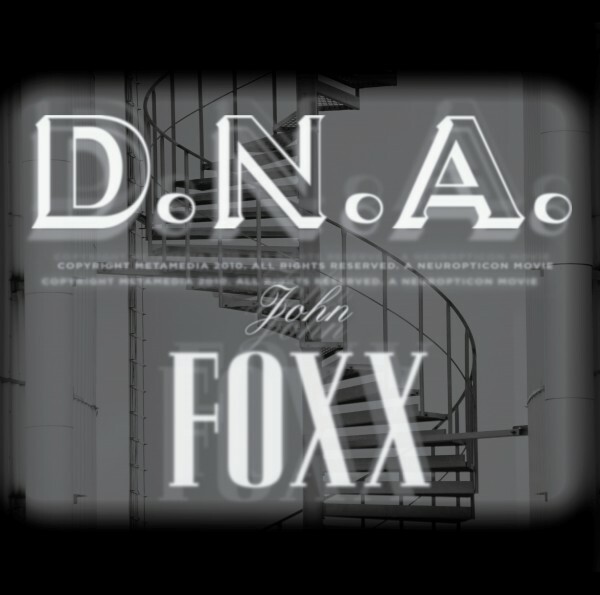 Above all, D.N.A is a collaborative project – it doesn't even look like a typical Foxx release, as the minimalistic typography and distinctive imagery that have pretty much formed a visual identity for Foxx's albums since 2001, are all absent. For years, Foxx has been veering more towards the visual medium and there was bound to be a musical crossover at some point, and this is it – or at least the first.